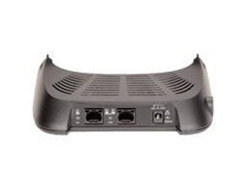 The Mitel Gigabit Eithernet (or GigE) Stand is for use on 5215/5220 Dual Mode IP Phones and 5212/5224/5235/5330/5340. Supports Power over Ethernet from Powered Gigabit switches. If local Power is required, a Gigabit Ethernet Power Adapter must be ordered separately (48VDC P/S Universal). Requires C7 Power Cord NA Plug Type to be purchased separately. Supports Power over Ethernet from Powered Gigabit switches. Every Mitel Gigabit Ethernet Stand (GigE) from Telephone Magic comes with a full 1-year warranty.